Apple announced new iPad Air and all major case makers also announce the cases they’ve been working on. The iPad Air features a thinner design , along with 64-bit Apple A7 processor , iOS7 and impressive weight, only one pound. 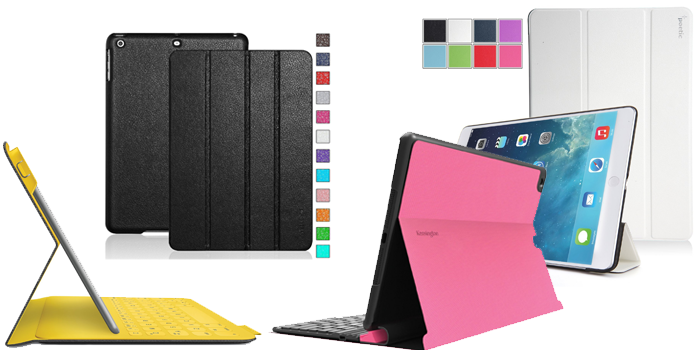 There is too many cases for iPad Air right now , so we try to list the best cases for every budget , taste, and every need. Fintie 360 degrees rotating case is flexible for landscape or portrait viewing . 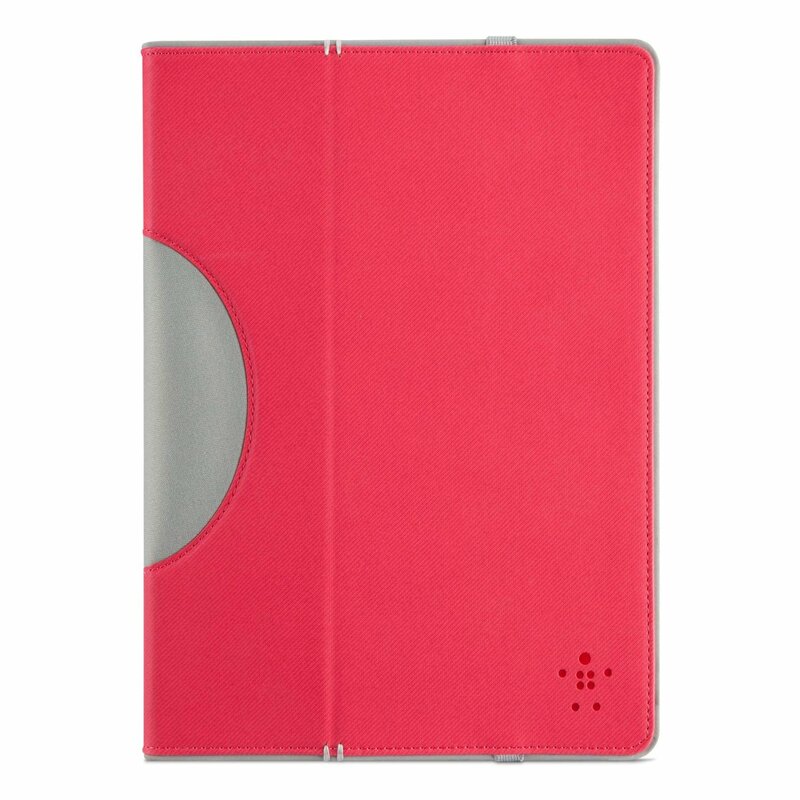 With dual layer hard cover, this case perfectly protects the device against any scratches. Available in 22 colors . 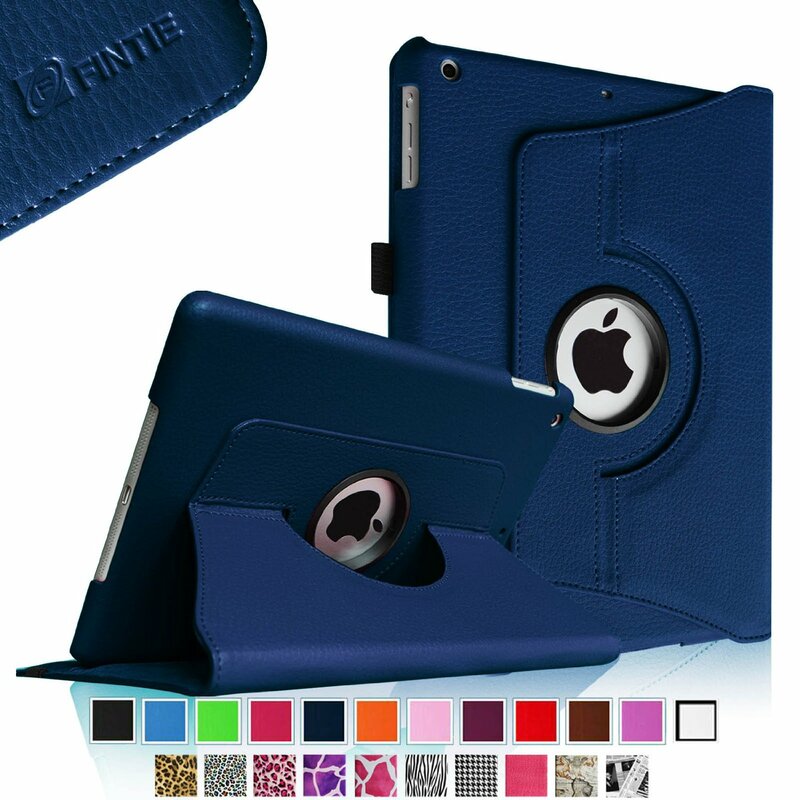 Fintie Apple iPad Air Folio Case is made of premium synthetic leather. It’s a quality product with multiple color choices and very easy to use. Check it out on Amazon. Photive case have lightweight hard shell which provide incredible protection against accidental drops. Also have three kickstand position for easy reading or watching movies. More info on Amazon. 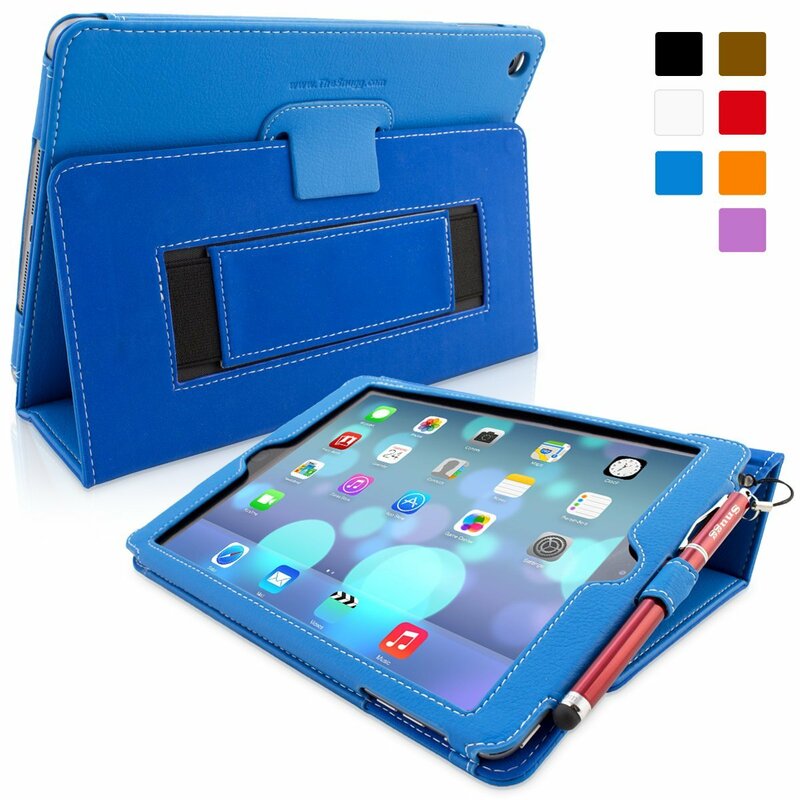 Supcase iPad Air case is made of synthetic leather with very soft interior material. It’s perfect for movie watching or video chat . Check it out on Amazon. 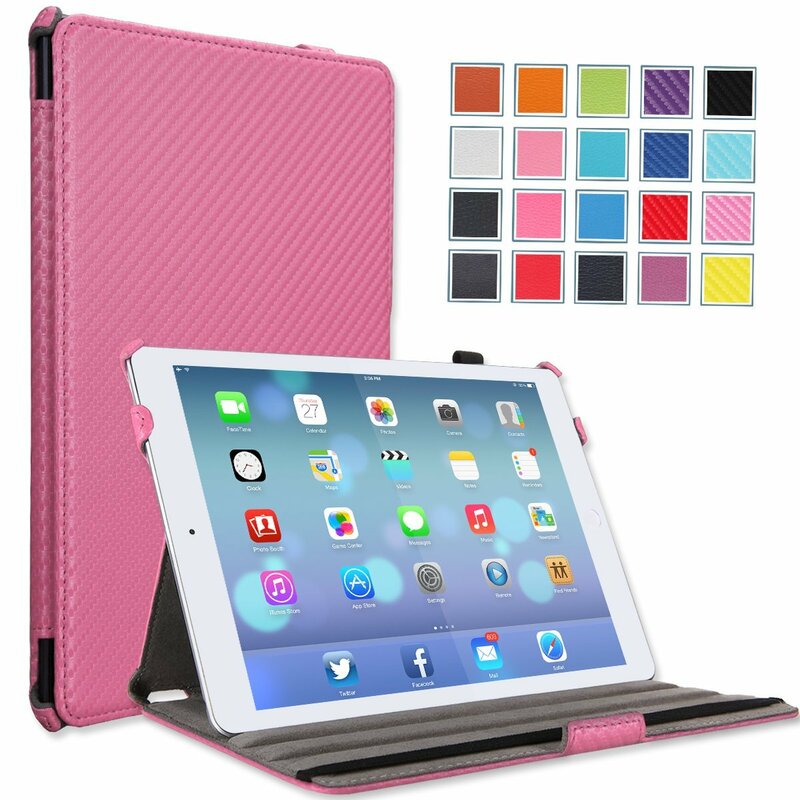 i-Blason Apple iPad Air Case ArmorBox provides full body protection for your iPad Air. It’s a great case for children and combine very nice and elegant design with a hard clam protective shell. Buy it now on Amazon. 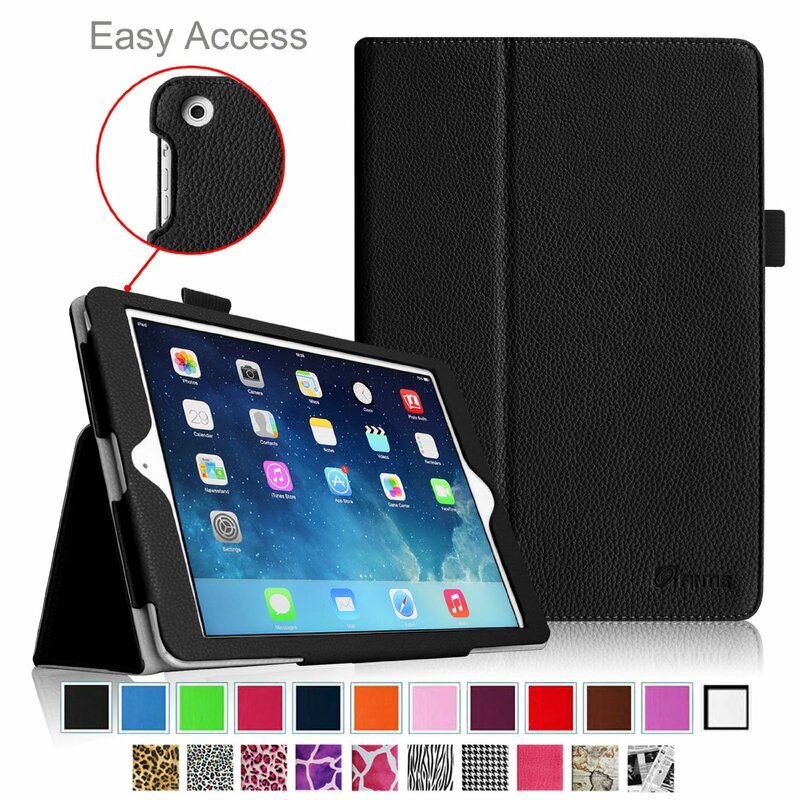 i-Blason’s Smart leather iPad Air case is amazing iPad Air case. It has may functions such as auto wake and sleep smart function , enclosed slot for credit cards, built-in elastic hand strap and pen holder. Check it out on Amazon. 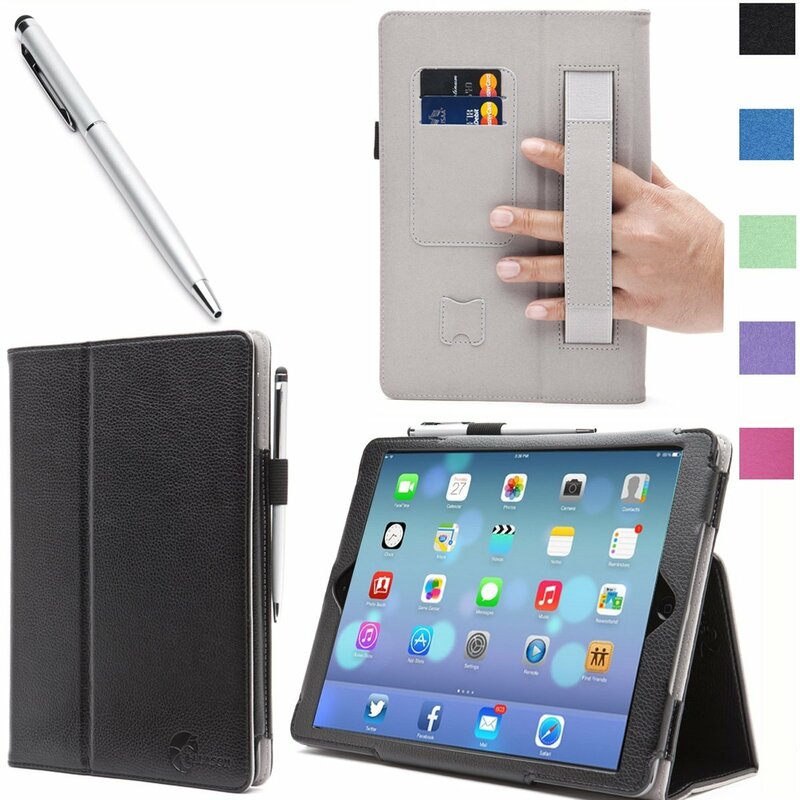 Poetic Slimline Case is very thin and offers a sturdy design with maximum protection to the back and the screen of iPad Air. Also magnet on Slimline works very well and will wakes up your iPad when opening the lid. Buy it now on Amazon. 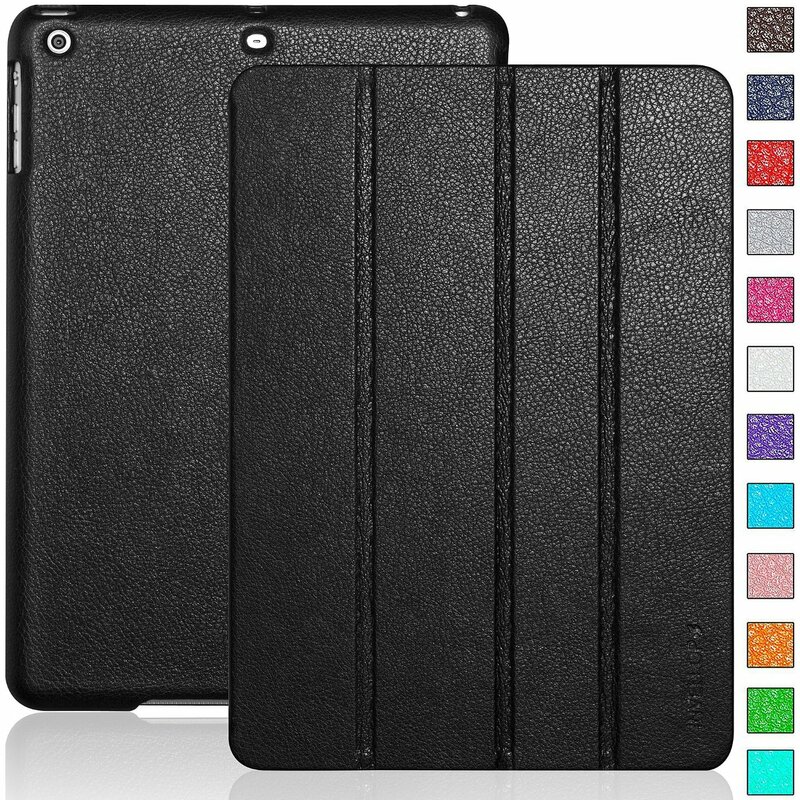 If you looking for very high quality and very slim leather case with soft black interior, Devicewear is yours case. 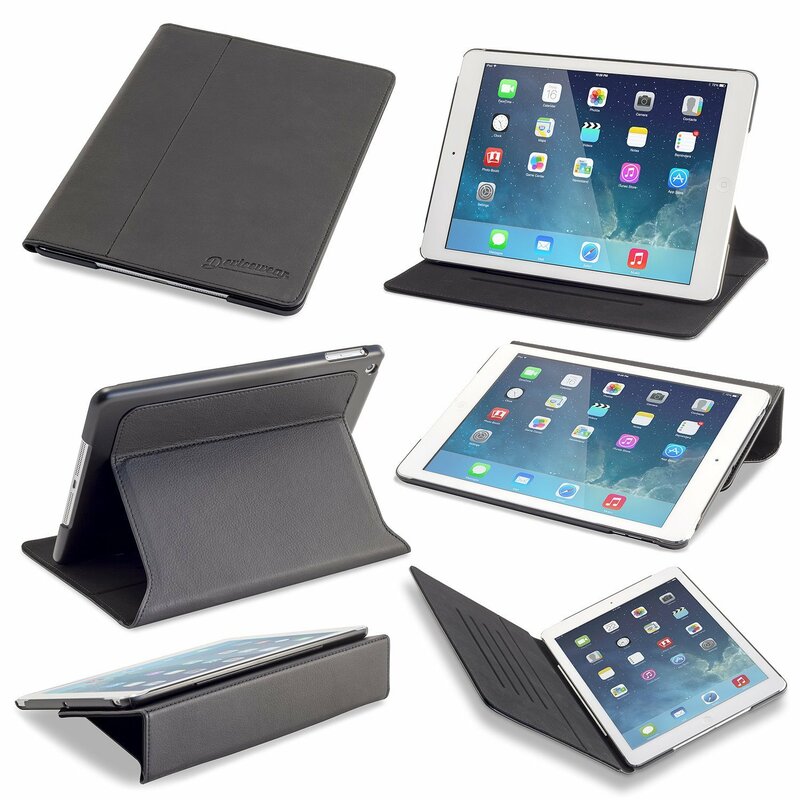 The stand have 5 different viewing angles and your ipad is put to sleep or awakened when case is opened or closed.Check it out on Amazon. 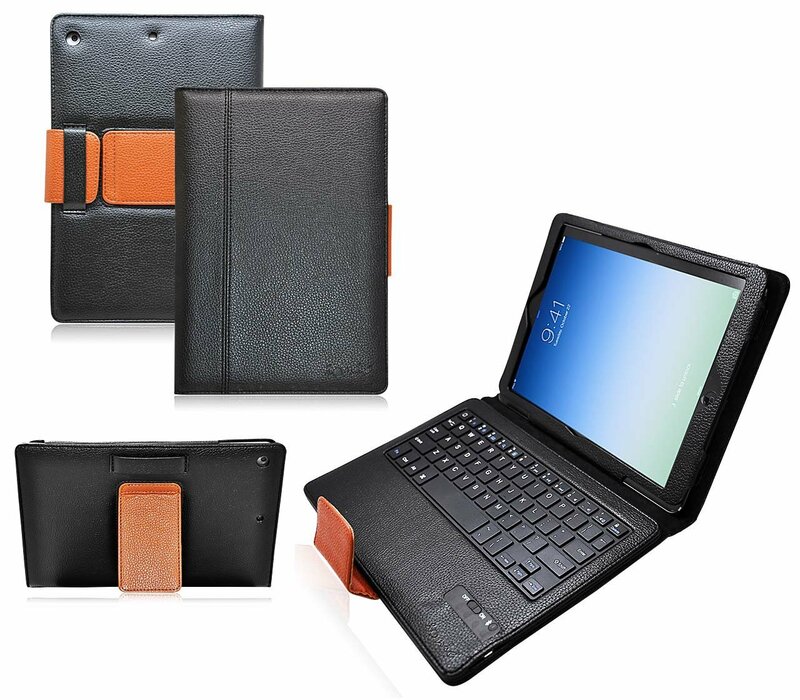 With premium quality PU leather MoKo case bring a classy look. 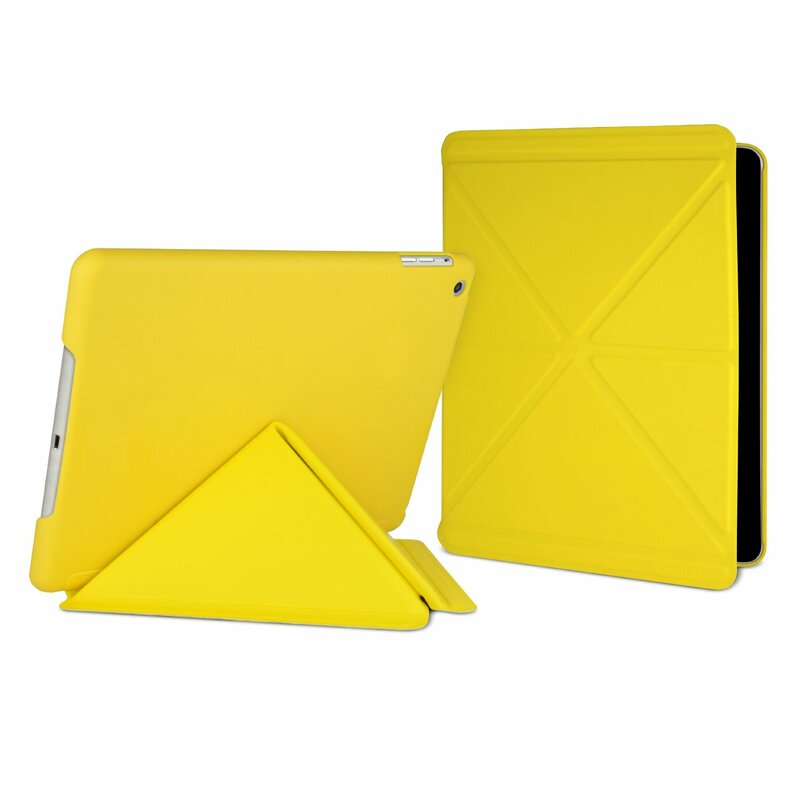 No-scratch microfiber interior is additional protection layer for your iPad. This case also add wake/sleep functionality when the lid is opened and closed Check it out on Amazon. 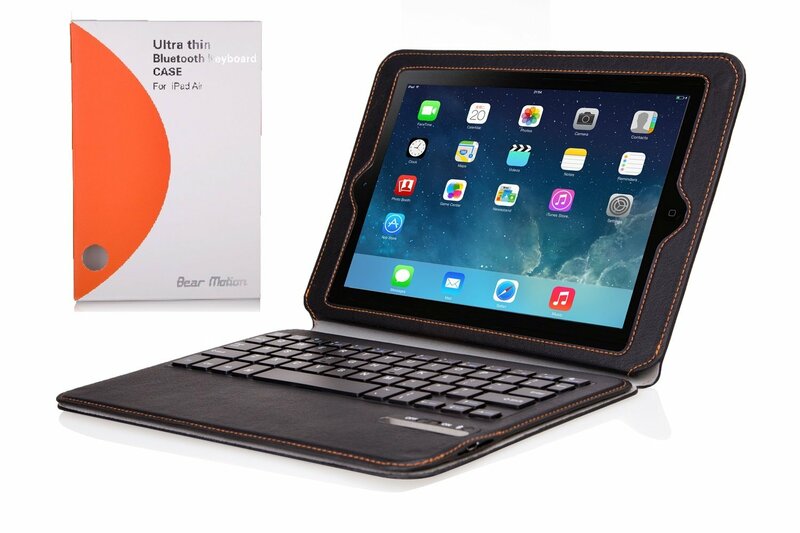 If you looking for ultra thin iPad Air keyboard case , then you need to check Bear Motion case. It’s Right for You. Check it out on Amazon. CaseCrown offers good quality , as the cases above , at a low price. Check it out on Amazon. 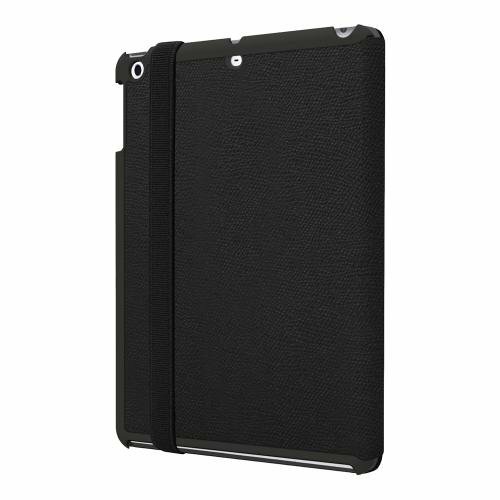 Invellop Black Leatherette iPad Air Case comes with hard case , lightweight and ultra-thin design. It’s great case for work, school or travelling. Buy it now on Amazon. 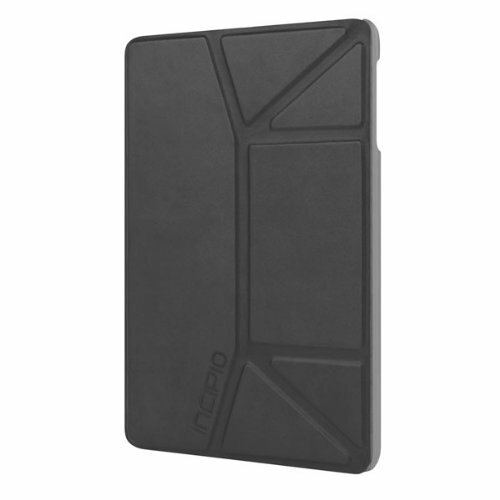 Incipio watson wallet case offers leather exterior and microsuede interior. It has three card slots for ID or credit cards.Check for more info on Amazon. 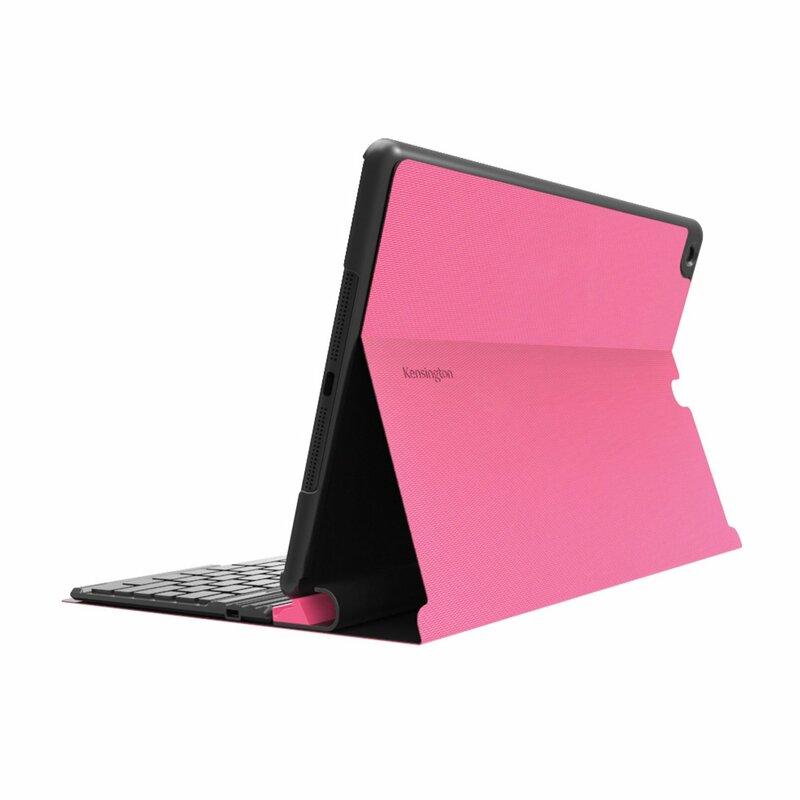 With unique folding design and available in six colors Incipio LGND case is nice case for every iPad Air. This case also have magnetic front closure.Check it out on Amazon. 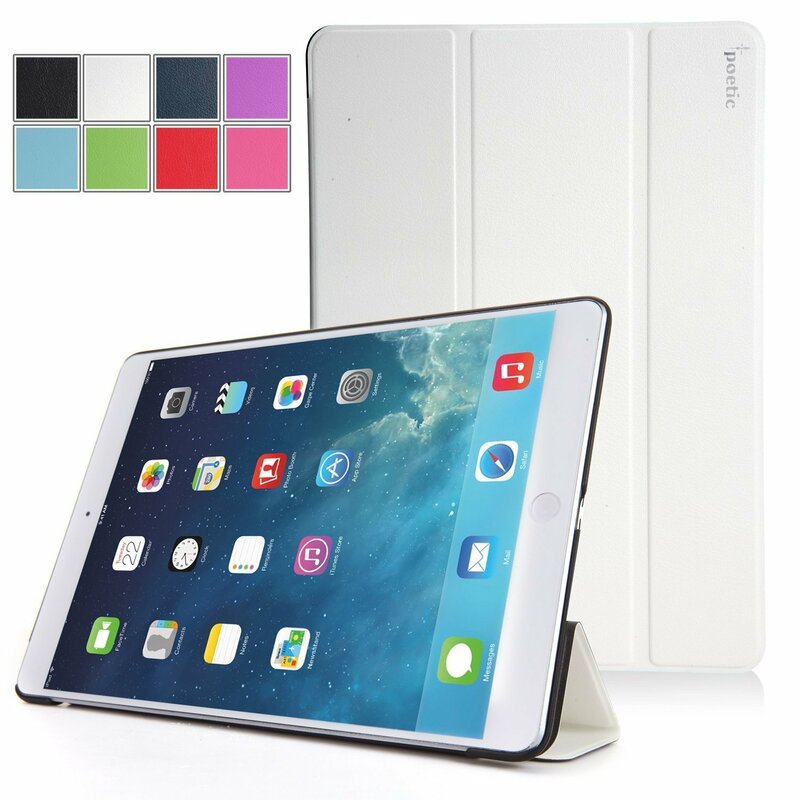 Iconic’s bluetooth keyboard case for ipad air is a great case, durable, prefesional look with easy keyboard connection via bluetooth. 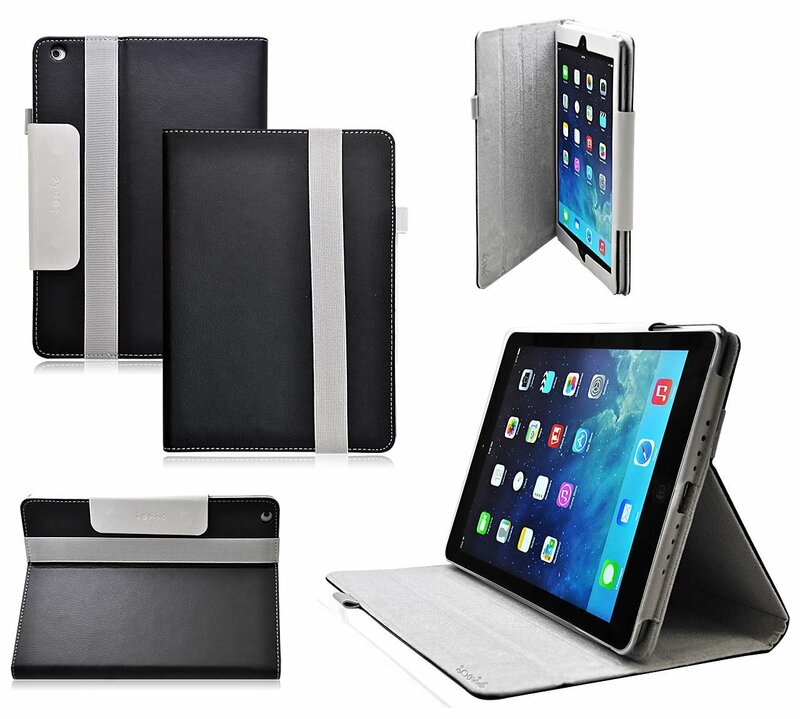 If you want to turns you iPad Air this is the right case for you. More info and review on Amazon. Ionic Designer case has all-in-one unique stand case which is easy to use for you daily routine , work or school. Buy it now on Amazon. 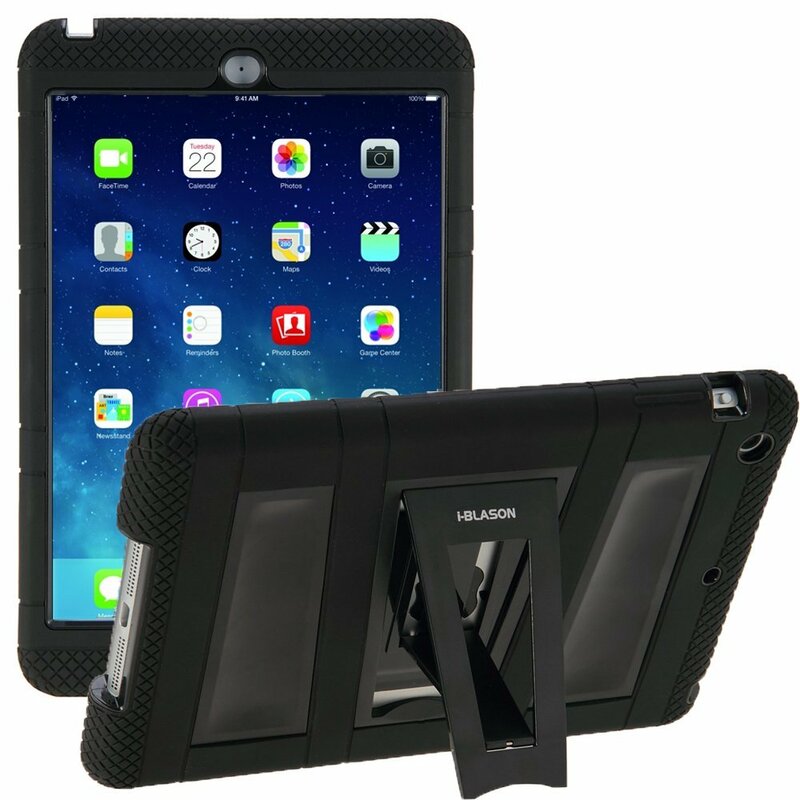 This case can protect you Ipad Air very well. It’s handsome looking case and allows to holding your device in various position. 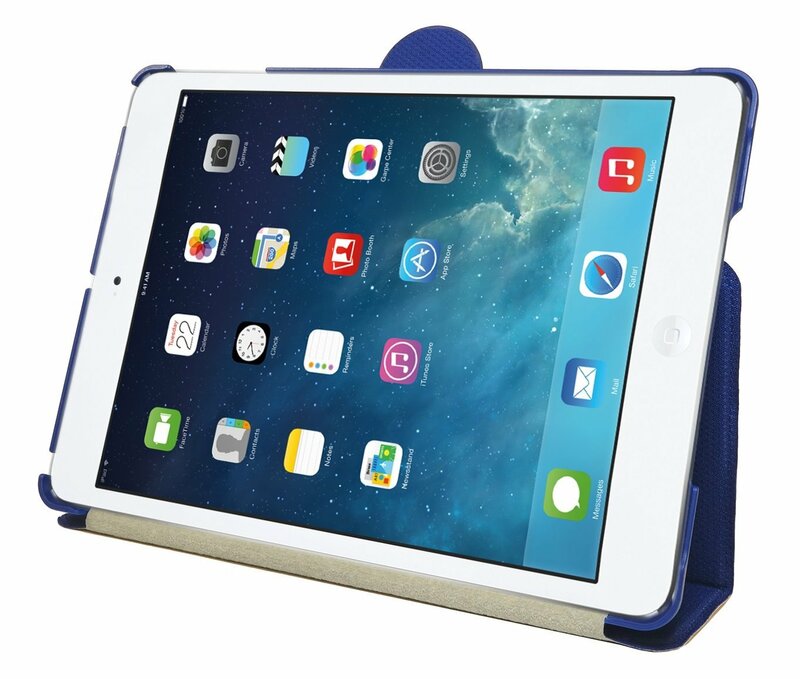 Snugg iPad Air comes with lifetimegGuarantee and elastic hand strap. It’s fantastic case available in many colors. Check it out on Amazon. 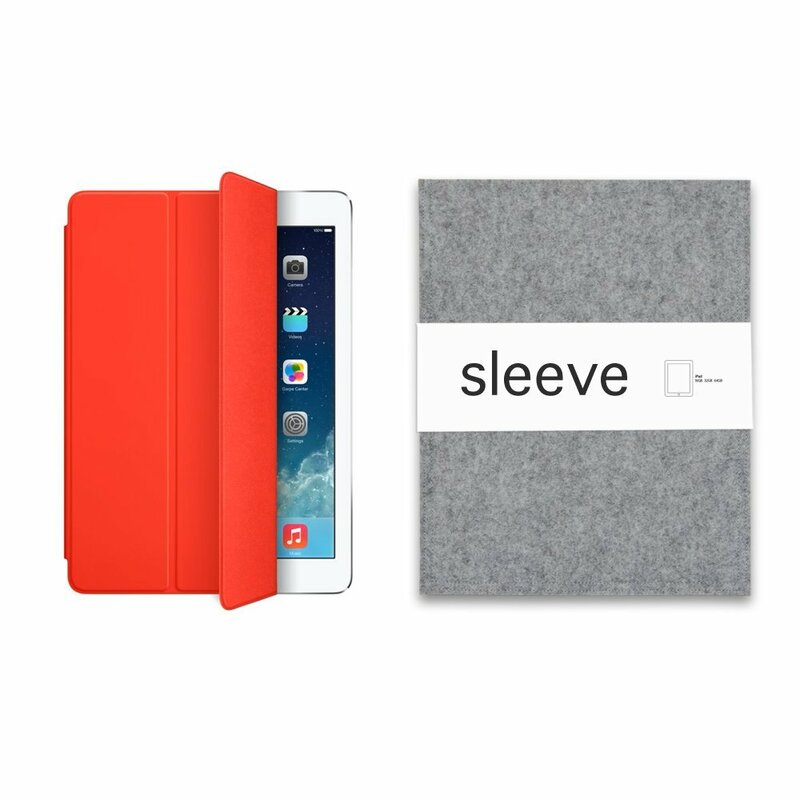 SLEEVE case is a sturdier,simpler, protective cover. It’s made from sustanainable natural wool style material. More info on Amazon. Cygnett Paradox Sleek come origami folding design and in many colors. 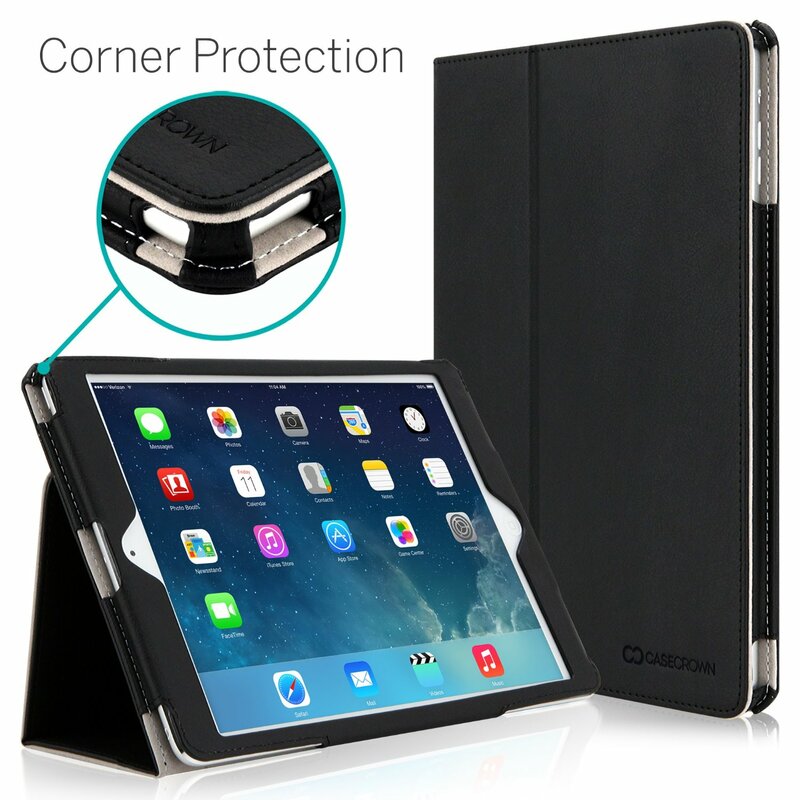 It’s provide all-round protection for every iPad Air. Check it out on Amazon. STM Cape Protective Case is excellent lightweight and slim case . 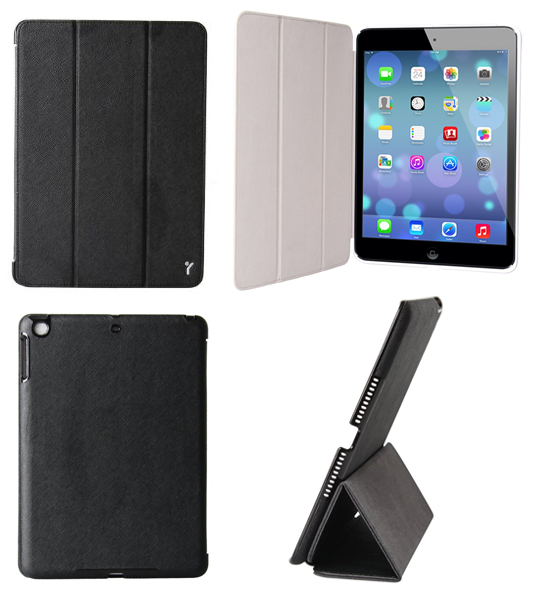 The case has water-resistant hard shell back and is perfect solution for your iPad Air. Check it out on Amazon. 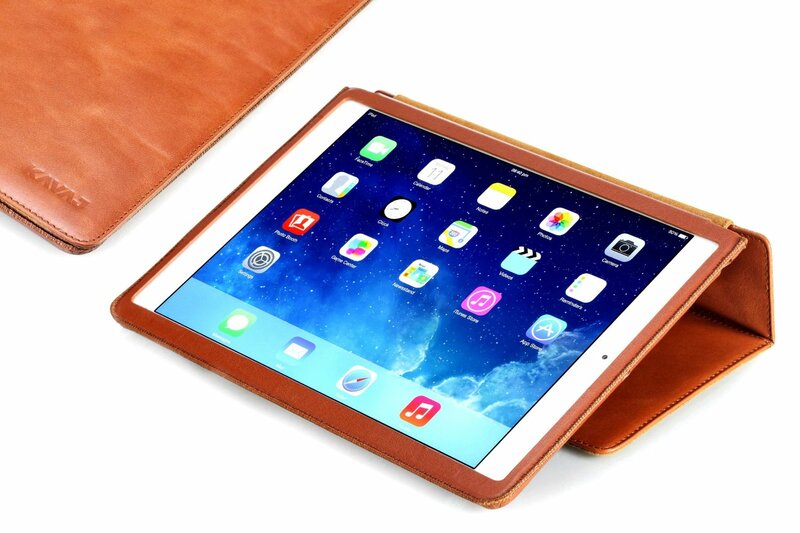 KAVAJ iPad Air leather case is a hidden gem. The case is very beautiful , very light with a great quality. It’s magnet technology lets your device to wake and sleep when you open and the close the case . Buy it now on Amazon. 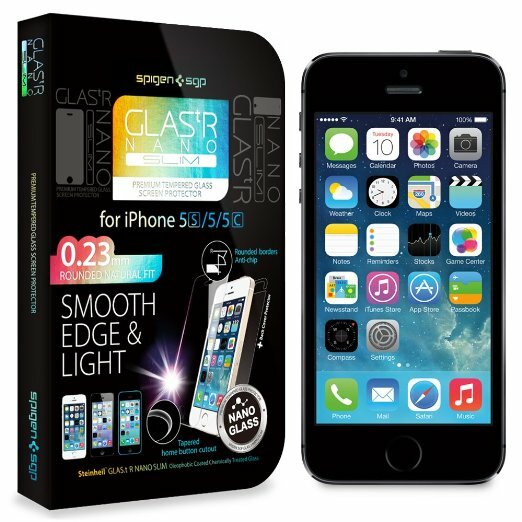 This case is very slim ,lightweight and have water-resistant protection. Also you should never be affraid for you iPad Air again. It can withstand drops from up to 6 feet and you can splash it or scratch it , it will still stay protected. Check it out on Amazon. The SmartSuit combine a hard case protection, an intelligent cover and amazing looks. 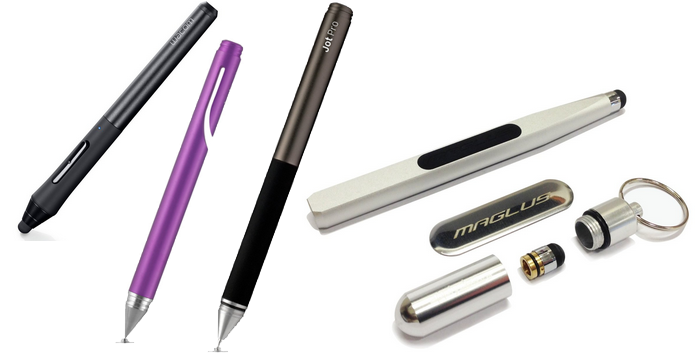 It is ultra-slim and has special magnets hold the cover open. 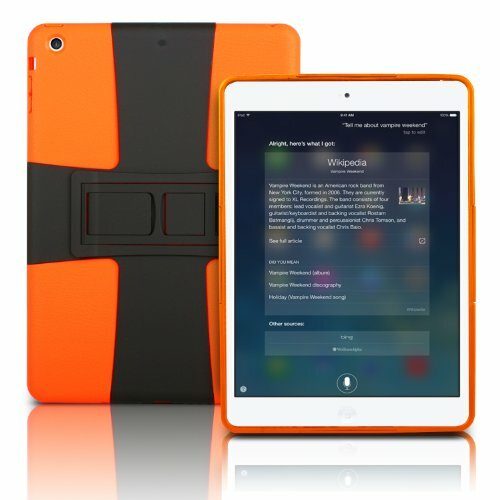 One of the best cases available for iPad Air. Check it out on Amazon. 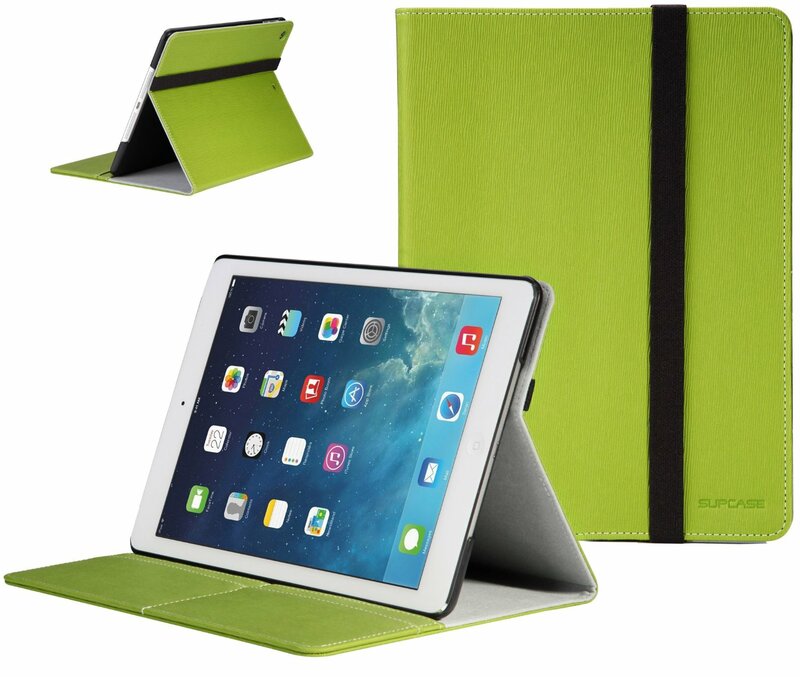 With Belkin LapStand Cover case you can easy balance your iPad Air on your lap while you work. Lap stand has many different viewing angle, so you can easy find best position when watch videos. Check it out on Amazon. 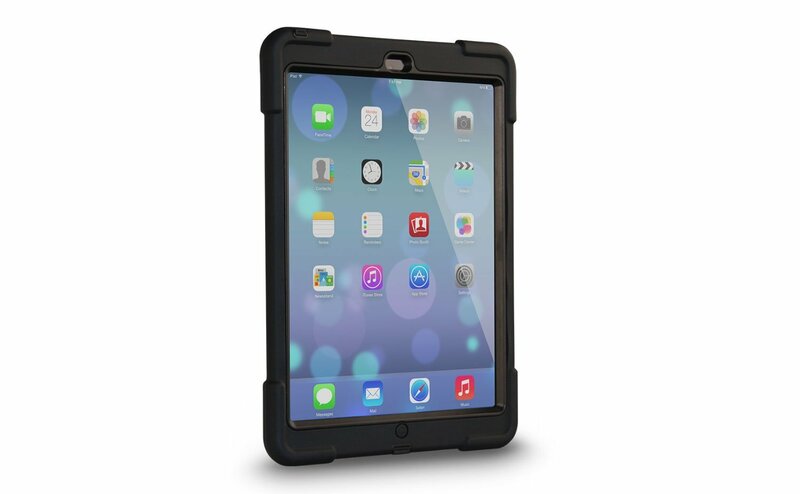 Griffin Survivor Case is designed from the inside out to protect your iPad Air.It will survive any extreme conditions sand, rain, dirt, shock to keep you iPad safe. 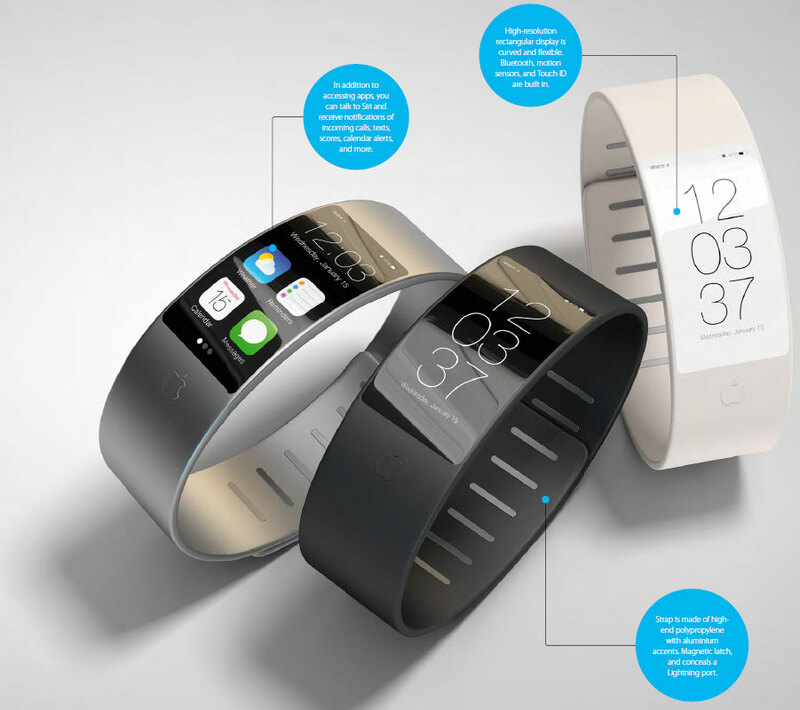 Designed and tested to meet or exceed US Department of Defense Standard. Buy it on Amazon. Ballistic Tough Jacket case offer three layers of protection one of strongest on the market. 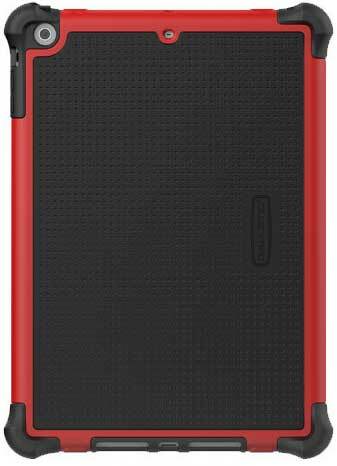 This case also have Ballistic Corners – all corners have extra shock absorption. More on Amazon. Moshi iGlaze is very slim and functional case. 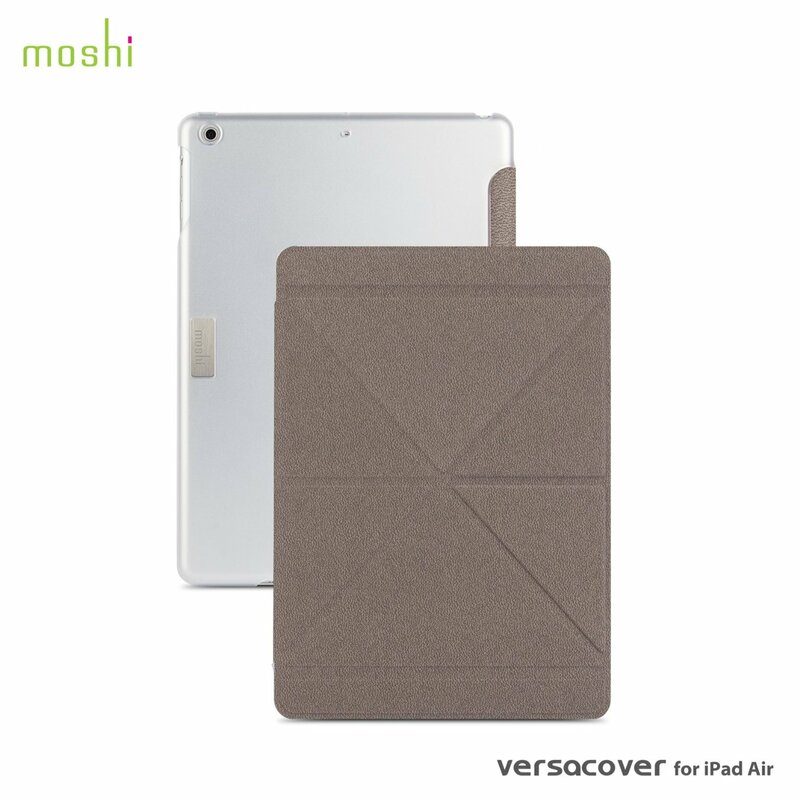 VersaCover is soft microfiber which protect Retina dispay and iGlase protect perfectly your iPad aluminium back from scratches Check it out on Amazon. ZAGGkeys is very solid and well built case. It’s offers 130 degree of viewing angles, lighted bluetooth keyboard and a powerful battery.Check it out on Amazon. 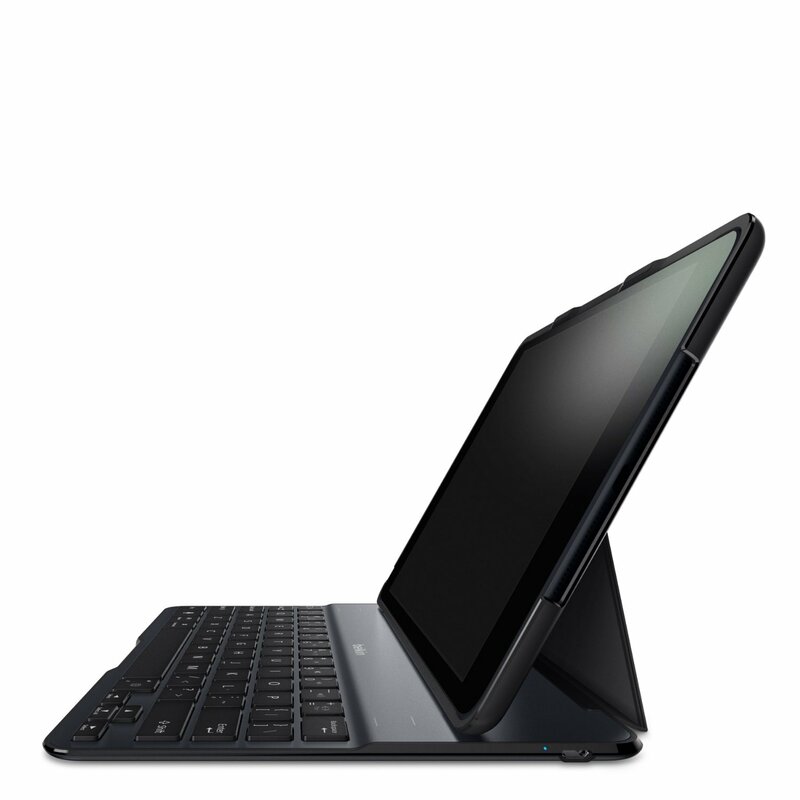 Belkin QODE keyboard case can easy transform your iPad in full laptop.The case is strong and sturdy, very light and slim and batery provides 1900-hour active mode or 4300 hours in standby. Check it out on Amazon. Kensington KeyFolio is here ! Removable, ultra-thin Bluetooth keyboard with construction enables multiple viewing angles and available in six colors. What you wating for ? Buy it on Amazon. 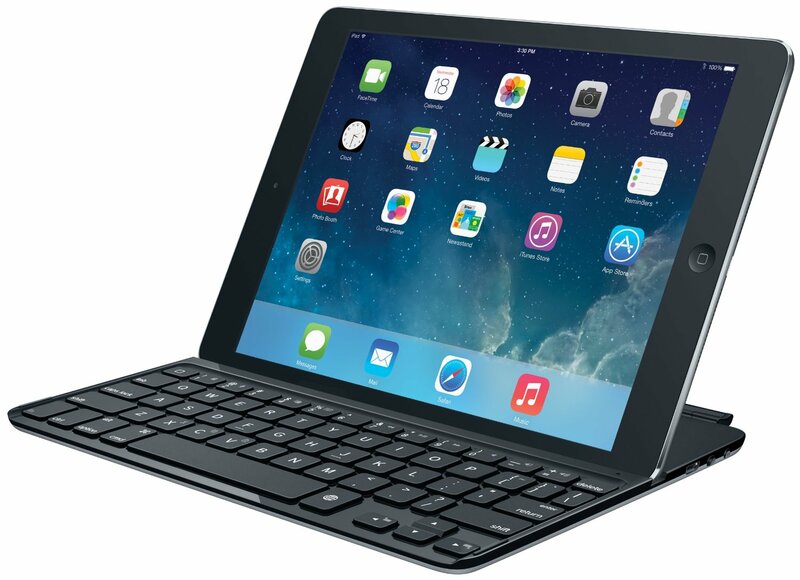 Beast iPad keyboard on the market. 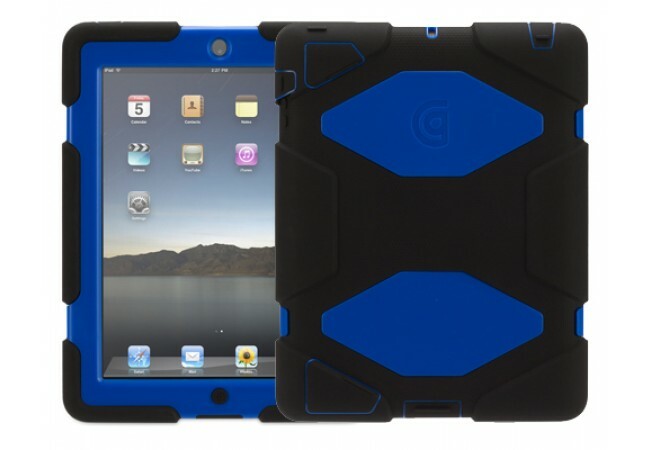 This case really improves your iPad functionality. 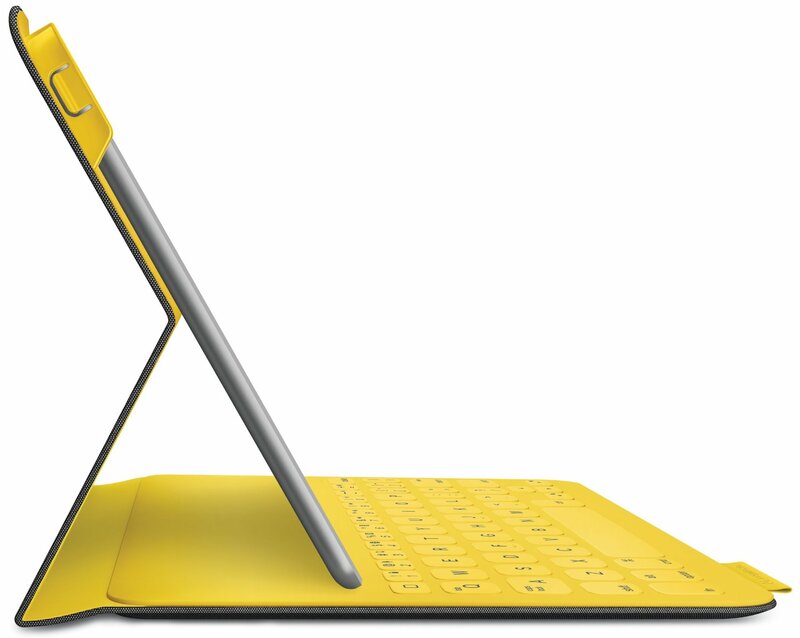 This is ultrathin keyboard Cover with Built-in Bluetooth keyboard. Have functions for auto wake/ sleep when you open or close the cover. Check it out on Amazon. 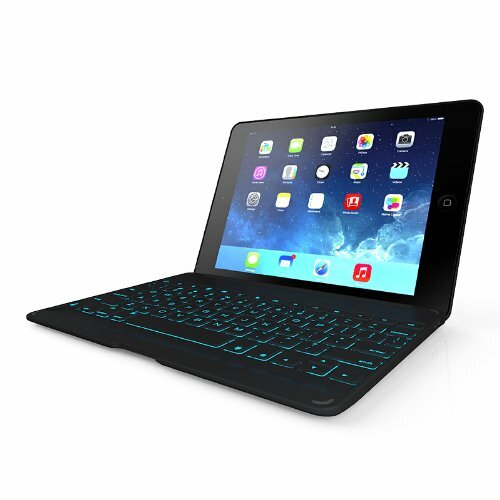 This keyboard case not only will add protection to your iPad air , but also makes it stand out. It’s ultra-thin and light protective case and Bluetooth keyboard with full-size keys disappears into the inner fabric surface. Check it out on Amazon.